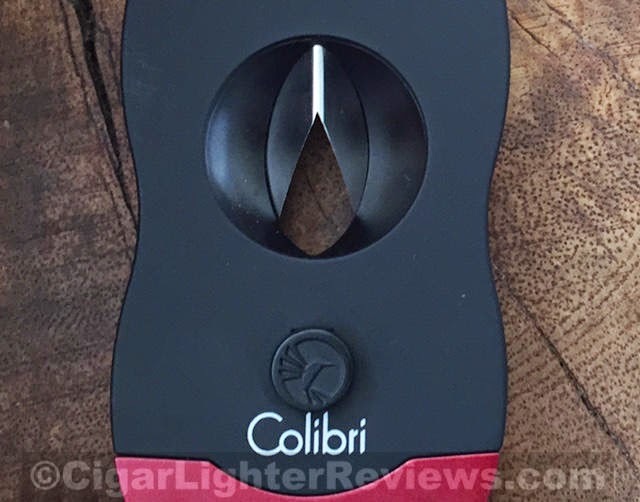 Colibri has stepped up to the plate with a quality V-cut cigar cutter. This V-cut feels high guality due to the matte black rubber finish and weight. Colibri built a beast weighing in at 4 ounces! I took my personal Xikar V-cut and threw it on the scale, it only weighs 1.7 ounces (Xikar V-cut review). These two cigar cutters are two completely different animals. Personal preference will be the deciding factor for those hunting down a cigar V-cut. I was immediately impressed by the weight and feel upon unboxing. The main body is done in a soft, velvety, matte black, rubber finish. There is a little button above "Colibri" that is spring loaded. Once slid down, the V-cutter opens extremely responsively, zero hesitation. Nicely done. One of my few complaints with the Xikar V-cut is the cigar ring gauges it is able to cut well. Depending on the cigar cap shape, I generally struggle at 58+ with Xikar's. On the otherhand, this Colibri can definitely take down some monster cigars. 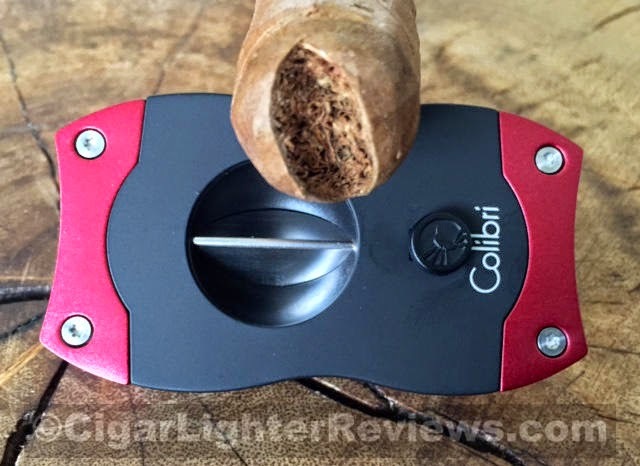 Below is a picture of 56 guage cigar, look how deep of a cut the Colibri made. Really nice, I liked the cut it made, had a great draw as well. Here is a close up, with me holding the blade partially closed to get a better appreciation of how large the blade is compared to the cutter. I am not sure how this V-cutter would do with smaller ring guages like 48-50? Thinking it might be a bit to aggressive in size for the smaller cigars. 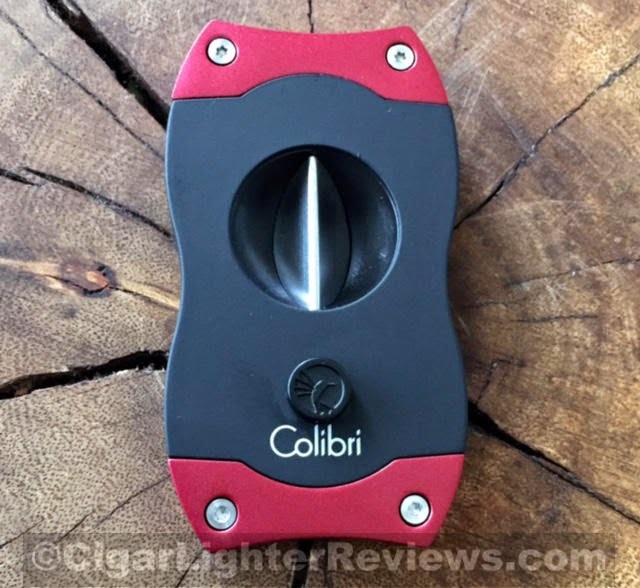 Overall, I am impressed with Colibri's new offering. It appears to be very well made and the spring action is top notch for sure. This V-cut is retailing for $39, I believe this is a pretty reasonable price given the closest quality competitor.